You close your eyes and breath in the smell of stuffing, mash potatoes, and pumpkin pie. For people celebrating Thanksgiving, it can be a time of mixed emotions. 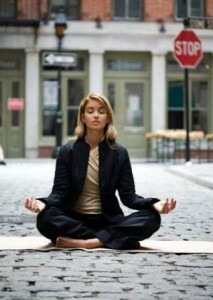 With this in mind Yoga District has compiled some mindful tips for dealing with Thanksgiving stress. Also, check out our two hour Post-Thanksgiving Restorative Workshop. We hope that the following suggestions will guide you to a peaceful Thanksgiving. You can practice them anywhere at anytime. We would love to hear from you so please feel free to comment below and provide any of your recommendations for how to avoid stress during the Thanksgiving holiday. Join one of our lovely teachers, Atticus, as she shares the practice of Medicine Wheel Yoga this Saturday (November 18th) from 4 to 6 pm at our Bloomingdale studio. Medicine Wheel Yoga blends two ancient healing systems, Peruvian shamanism and yoga. This 2 hour workshop features an introduction to the Peruvian Medicine Wheel, live music, 90 minute asana practice, an extended sonic savasana and group reflection. Take home a Medicine Wheel map and description to continue the inner work. Click here to sign up for the the workshop. 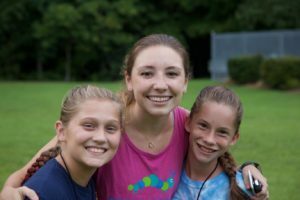 One of our wonderful Yoga District instructors Kendall is a founding member of the William & Mary chapter of Camp Kesem. Camp Kesem is a national organization that offers a free week-long summer camp to support children through and beyond a parent’s cancer. Kendall is donating all of the proceeds from her November Yoga District classes to kick-off Camp Kesem’s fundraising season. Read below for Kendall’s class schedule and why she is so dedicated to Camp Kesem. What does it mean to empower your sacred femininity on a physical, emotional, energetic, mental andspiritual plane? 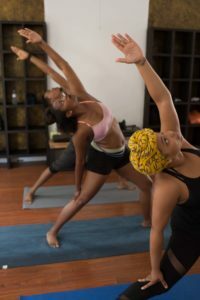 Follow Nicolette’s exploration of Yoga Therapy for Women. With new seasons comes big change! Embrace the new season with updated blog content and stories that interest you. Meet Peach, our sister & teacher training grad from the Philippines! 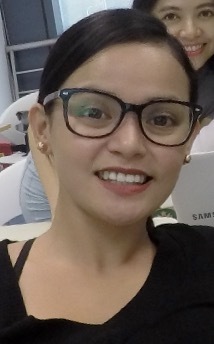 Meet Peach, one of our beloved teacher training graduates from Manila, Philippines! Read on for Peach’s story about the journey which brought her to yoga–and the Yoga District teacher training all the way from the Philippines! I never dreamed of becoming a yoga instructor. That dream, if any, was further deterred by the lack of Black bodies and faces that I saw in the media and in my yoga classes. 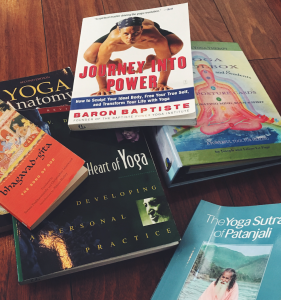 Little did I know that yoga was to be my path to self-awareness and self-knowledge. 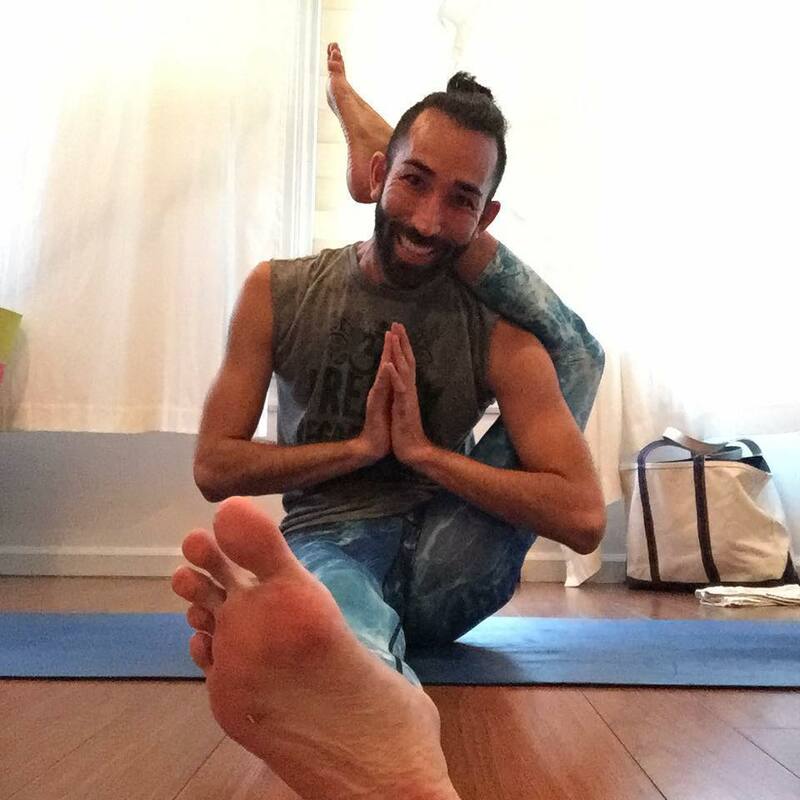 Meet Ben, one of our beloved instructors, as he shares a little about his yoga journey, personal teaching insights, and philosophy. Get to know Ben. 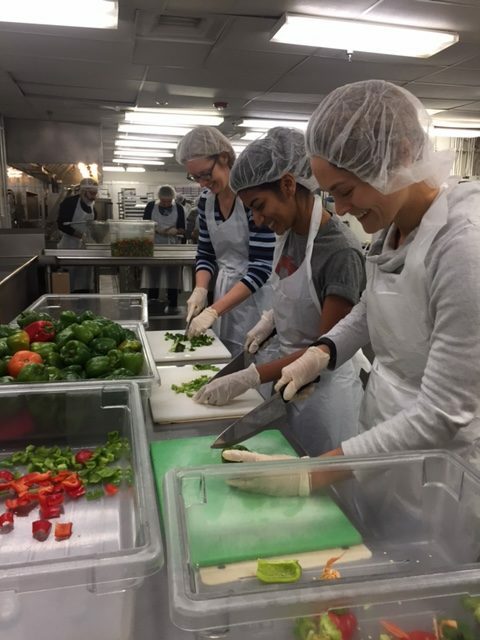 Last month for the holiday season, Yoga District members were given the opportunity to volunteer with DC Central Kitchen for an evening meal prep shift. A large group of yogis participated! 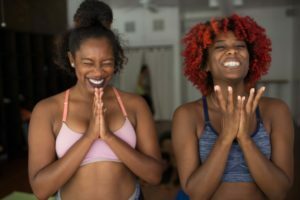 Hear from YD teacher, Kelly B., about the experience here (and keep an eye out for the next volunteer date under the “Workshops and Specials” section of the Yoga District website, or sign up with DCCK directly!). More months had past since the end of the classroom portion of Yoga Teacher Training (YTT) than I had originally planned. As with most other tasks, the YTT requirements were taking longer than I anticipated and delays between the tasks had eaten up time as well.